This app is part of the Universal Purchase. 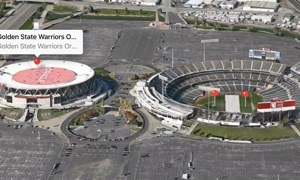 With one purchase, you will be able to watch your favorite Sport Stadiums in 3D on your iOS and Apple TV devices. - With this version, find a stadium is easy. Select a letter on the top to filter out the stadium selection. - When a stadium is selected, the 3D view will show up automatically. - Select a different stadium is easy, long press anywhere on the map to switch focus back to the table view. - stadium filter control on the top from A to Z. - Map pitch buttons: increase or decrease the viewing angel. 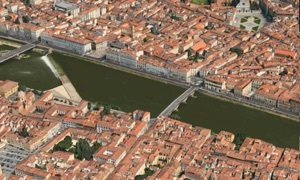 - Apple Map: you can move the map in different directions and zoom in/out. 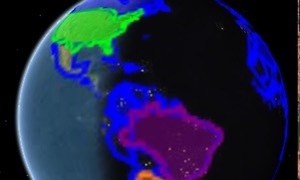 By clicking on the Map View, you will see cities on the 3D Earth. Use the Apple TV remote control to move to the appropriate map type and tap on the control for selection. You can then use the rotation buttons to rotate the map and then use the pitch buttons to see the 3D View. It is recommended you move the focus to the map control and start to move to different locations and use the map zoom in/out feature by sliding the right hand side of the control. To select a different city or place, go to the table on the left hand side and select a city or place. Apple Map will display the city or places based upon your selection. Please notice: once you move the focus on the map. In order to set the focus back to the default button in order to able to use other buttons, table or map selection. "Long Press" on the control pad and the focus will be shift back to the default button. More features are going to be added in the coming updates as we are actively looking into the exciting features provided by the Apple TV.